Pongal is a traditional food liked by everyone. Since it is made of Raw Rice, it is unfortunately not healthy. 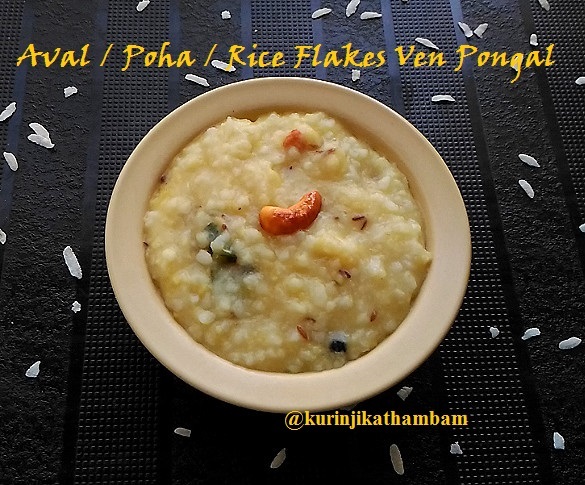 The good news is that Aval Kara Pongal which I tried with rice flakes is indistinguishable in taste and also healthy because of Rice flakes. I highly recommended trying this atleast once. Once you start to like this, you will never go back to rice pongal. 1. Dry roast moong dal till a nice aroma comes out. 2. Pressure cook the dal with 1 ½ cup of water for 2 whistles in high flame. Allow it to cool down. 3. Meanwhile, wash and soak the rice flakes for 1o mins with 2 cups of water. 4. Dry roastthe pepper and cumin seeds together till the aroma comes out. 5. After the pressure has gone from the dal (pressure cooker from step 2), add the rice flakes with soaked water. 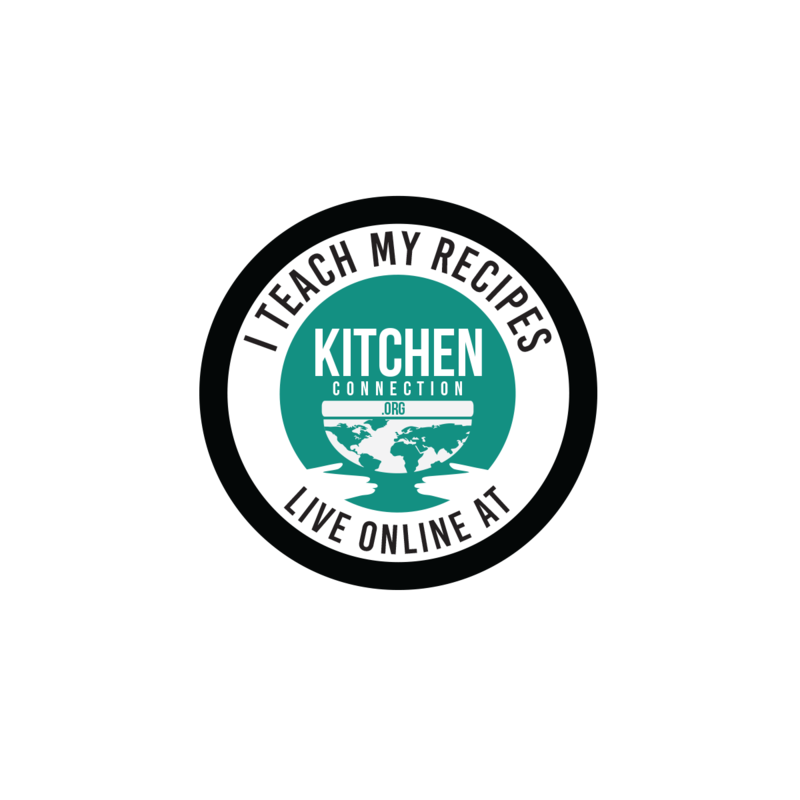 Then add the roasted pepper and cumin seeds (from step 4), curry leaves, grated ginger, salt , turmeric powder, hing and 2 ½ cups of water. Mix them well. 6. Pressure cook for 1 whistle in high flame and switch off the flame. 7. Heat the pan, add the ghee and fry the cashew nuts till they become golden color. 8. After the pressure has gone, temper it with fried cashew nuts. Mix them well and transfer it into a serving bowl or hot box. Wow health aval kara pongal is ready to eat. Serve it with coconut chutney and sambar. 1. You can use the rice flakes soaked water also. 2. You should not keep the pongal in the cooker itself. Because the pongal will becomes thick soon. 3. 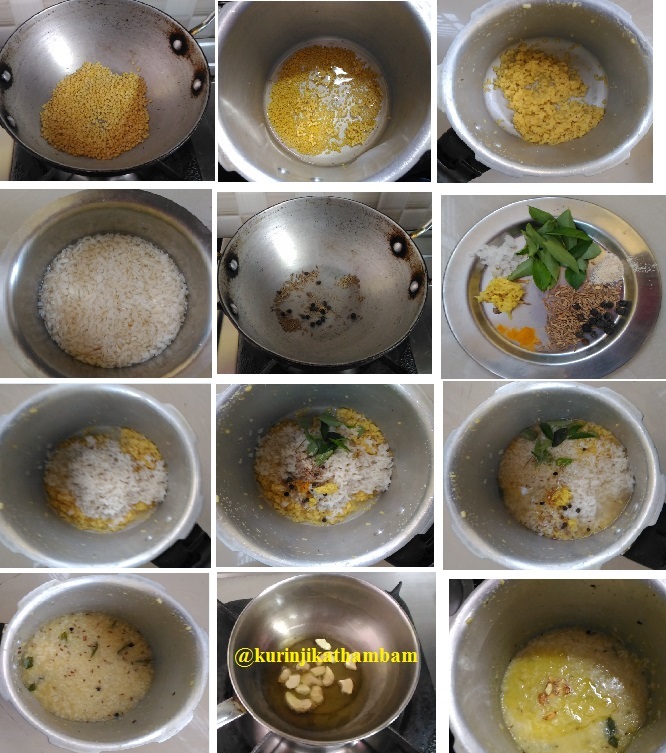 Adding turmeric powder give nice color to the pongal. @ Anonymous: you can use thin poha too, but no need to soak it. Just wash and use it.